Sometimes life takes us to places we would have never imagined we would end up. 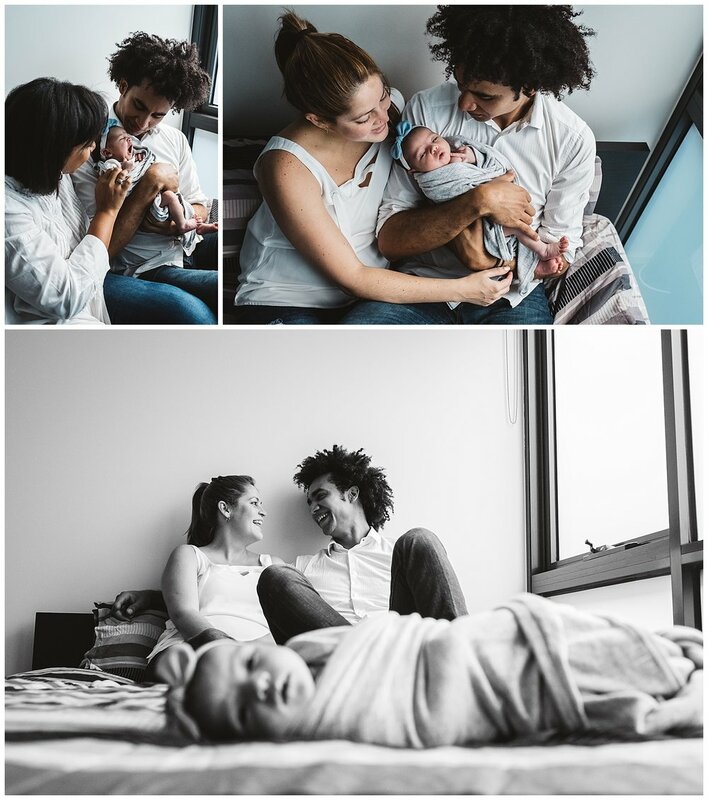 Growing up in Venezuela I would have never imagined that I was going to have my family in Australia, the same happened to this gorgeous couple. I couldn’t believe my ears when I heard them talking in Spanish and a flood of memories came back to me: they came from the same country where I grew up thousands of kilometres away. Sometimes we take family for granted, but living far away and meeting family members every few years you learn to appreciate each other and make the most out of these rare occasions, for them his sister was visiting from Spain to meet her niece. Thanks for stopping by and come and have a look at the morning of these proud new parents. For more information on natural light Newborn and maternity lifestyle photography in Melbourne contact me. Fran Jorgensen is a Melbourne child photographer and Newborn photographer. Lifestyle photography is a great way to document your family looking for genuine emotions in the comfort of your home. Some of the suburbs that family lifestyle photography sessions are available include: Yarraville , Seddon, Williamstown, Camberwell, Elsternwick , Fitzroy and Collingwood. I am a local bayside photographer and family portraits can also take place outdoors in Bayside parks and beaches. Some of my favourite beach locations include: Hampton, Sandringham, Elwood, St Kilda, Port Melbourne, Beaumaris, Carrum and Mentone. Book your family portrait session today.